As of 3/1/2018: if you need to pay by check you will need to register and pay for your registration onsite. After February 5, register online or at the registration desk. A $3.00 processing fee will be added to each registration. There is a $23 cancellation fee per registrant for registration and Gala cancellations received on or prior to February 5, 2018. After February 5, these fees are non-refundable. The Gala is the culminating, most exciting, and most special event of the convention, regularly getting top reviews in post-convention surveys. Join hundreds of attendees at this festive dinner, share stimulating conversations and laughter, and be present when thousands of dollars are awarded for the best convention presentations. 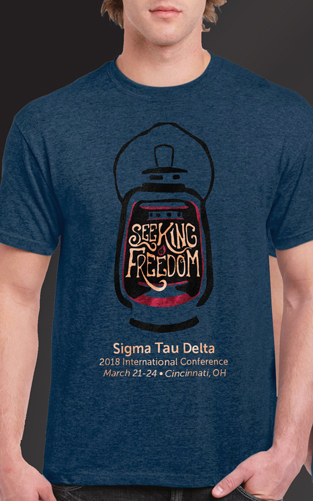 Don’t miss this opportunity to sport your red and black finery while celebrating your membership in Sigma Tau Delta or Sigma Kappa Delta. Convention registration fees do NOT include the Red & Black Convention Awards Gala (dinner) on Saturday, March 24 at 6:30 p.m. Your highly subsidized banquet fee is a separate $23.00 for convention registrants and $30.00 for each non-registered guest. If you have dietary restrictions, email englishconvention@niu.edu when you register for the convention. Presenters should wear business attire for their presentations. Don your school spirit wear for the Wednesday Opening Ceremony and Friday Business Meeting. For the Red & Black Convention Awards Gala, members are encouraged to wear Society colors and cords and/or medallions for this semi-formal attired event.